London, UK – Over the years legendary Blodwyn Pig/Jethro Tull original guitarist Mick Abrahams has recorded a number of solo albums, steeped in the delta blues DNA that had mystically been passed down to him by Robert Johnson. 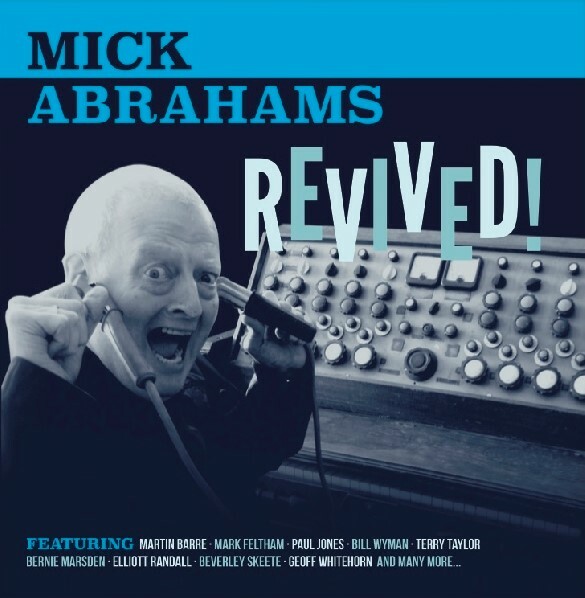 Mick is 71 now, and still has the heart of a bluesman – the remarkable musicianship on this gem of an album Mick Abrahams and Guests “Mick Abrahams Revived” pays testament to that! Mick Abrahams has made what is possibly the strongest album of his career. This time he is accompanied by a whole slew of special guests including Martin Barre his successor in Jethro Tull, legendary singer Paul Jones, Steely Dan’s one-time guitarist Elliott Randall, Jim Rodford drummer from The Kinks, Bernie Marsden the guitarist from Whitesnake, and Rolling Stones legend Bill Wyman!